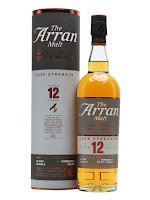 Just a few Arran’s today for your enjoyment: 12 cask strength, the Portwood finish and an IB from a Marsala cask. 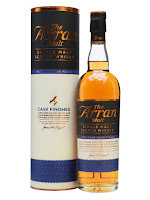 Arran, of course, is the only distillery on the Isle of Arran and they are doing rather well since they started in 1993. Nose: Big, sweet and quite old school. Sweet green apple, lots of pear, cherry, fresh esters, toffee, the oak is definitely there- Dry oak, tannins. Some sherry in the background. Coffee and a little chocolate developing. Water: More sherry, more coffee, more chocolate, a LOT more cherry, more oak, more tannins. Cherry sweets. Pepper and ginger after a bit. Taste: Creamy arrival, building intense sweetness with huge apple and pear sweetness, vanilla, honey, dry oak, cherry, tannins into the finish. Water: More sweetness, cherry, fizzy cherry sweets, oak coming through strong with tannins and drying with chocolate and splintered wood. After a bit the spice really develops with pepper and hot ginger (a bit of heat). Finish: Medium length. Toffee and then dark chocolate hit. Water: Longer finish with more oak. Nose: Malty and spicy. Pastry, strudel and cinnamon, some vanilla. Dark fruit behind- Blueberry. Water: Opens up with more earthy pastry and more aromatic spice- Coriander. Taste: Soft arrival, then kicks up with building spices and fruity port with blueberry. Some alcohol. Water: More spicy with coriander. Finish: Medium length. Fruit and spice. From a Marsala wine cask (I assume finished), bottled 2013. 16 years old. 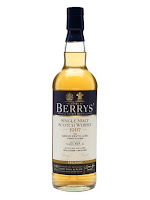 Nose: Malty and sweet, fruit- apple and pear, then curry! Yes, curry spice- coriander and Masala curry paste. Are we sure it wasn’t a Masala cask? Eh? Oh, forget it. Taste: Malty, lots of sweet apple, developing grape, spice and coriander. Finish: Medium length. Spices finish.